Logan Utah ranks 4th best small city in America for new college graduates. According to an August report from OnlineDegrees.com, Logan Utah is the 4th best small city in America for new college grads. 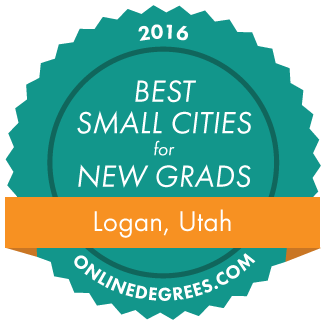 Logan Utah, November 4 2016 – The Cache Chamber of Commerce was pleased to learn about a report issued in August by OnlineDegrees.com showing that Logan Utah ranked highly on a list of the top 15 best small cities in America for new college graduates. According to the report, factors that helped get Logan the #4 spot include the highest projected statewide job growth in the entire country, the second lowest median age among ranked cities, and the least expensive rent among the top 15. 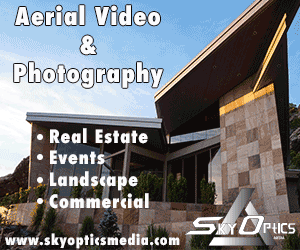 Logan ranked above other popular locations like Boulder Colorado, Santa Maria California, and Lafayette Indiana. According to the report, the #1 best small city for new college grads is Fargo North Dakota. Read the full ranking on Logan Utah, and the other top cities for college graduates by following the link below.